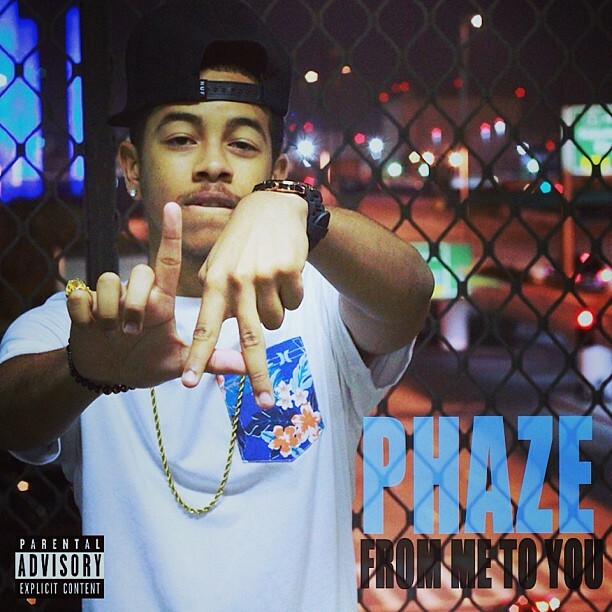 My client Phaze just released his newest mix-tape titled “From Me To You”. Click through on the following link and click the photo on the webpage to automatically download it to your computer: http://officialphazemusic.com. Every so often, I meet artists who really impress me. Every so often, I meet an artist who blows me away because not only are they musically talented, but they also possess a personable and self-assured aura about them. Something more than just music. Look, I’ll be the first to admit that I’ve been wrong more than I’ve been right, but just trust me when I say that I’ve hit the nail dead on the head a couple times with a handful artists who turned out to be pretty damn big (too bad I wasn’t making client decisions back in the day… lol). These days, though, working alone, I can pick and choose my projects. Now, I don’t just dole out free work left and right, and I know that I shouldn’t really gamble with business, but where’s the fun if you never take a risk and go with your gut. A few years ago I met Frank Freeman, pka “Phaze”, through another client of mine. He was a kid just finishing high school, whose parents, bless their hearts, wanted their kid to at least have a chance to chase the music dream. But there was something about him that really made me pay attention. Don’t get me wrong, the music and videos he put together with his high school friends … let me repeat …. high school … were really good. I could just see it in his eyes that he wanted it and wanted to hustle to get it done. I hooked him up with some of the people that I work with on the regular, and we started turning out more music [you can download a free copy of Phaze’s mixtape “Dead Memories” here: http://www.datpiff.com/Phaze-Dead-Memories-mixtape.320575.html] and more videos to showcase Phaze’s evolution. I hope that you’ll support independent music and hip-hop that’s as true and pure as it gets. “From Me To You” is now available as a free download. Again, click through the link and click on the photo on the page for the free download: http://officialphazemusic.com. Feel free to hitch a ride.